From Piccolo Espansibile to SVECOM – P.E. They were the years of the economic boom, the historical period that saw Italy be reborn after the war. In the air there was a desire to do things, ideas to be implemented, skills to put into practice. A climate favourable to the foundation of new businesses, a wind of progress and innovation that also swept through Vicenza, a small city in Northern Italy. 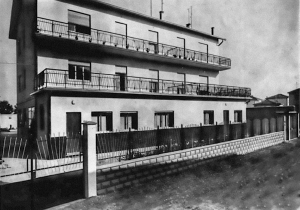 Here, three young people, Giovanni Marin, Giancarlo Marin, and Ferdinando Lovato, together with a very small group of collaborators, opened a laboratory for the production of the first expansion systems. Piccolo Espansibile, this was the name of the company, was born like that – from the blue workshop suits and the entrepreneurial skills of the three young people. 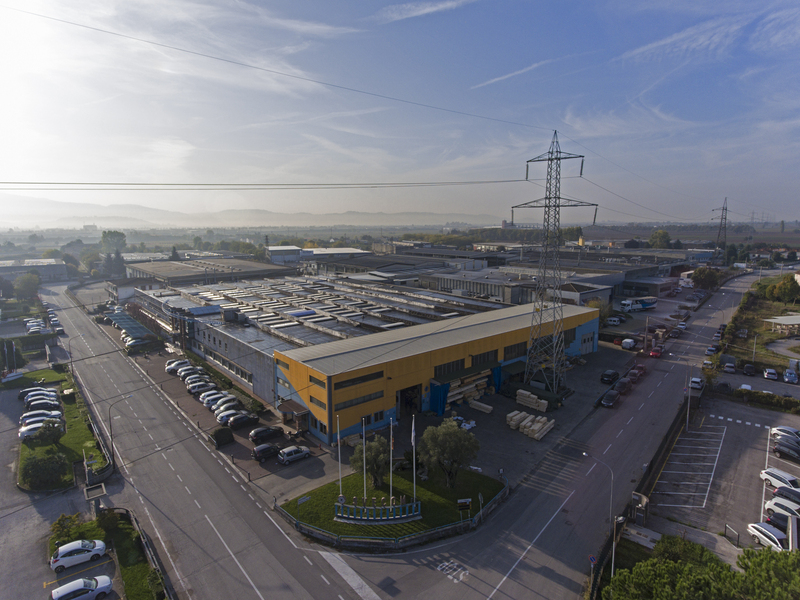 In 1968 the company moved to larger premises, in Montecchio Maggiore, in the province of Vicenza. And it became SVECOM – P.E., a new industrial company that, thanks to the constant search for innovative and customized solutions, grew rapidly. And it kept on conquering new markets, in all those product sectors where there is the need to wind and unwind a material on a reel: from the converting industry to the paper one, from plastics to aluminium, from printing to packaging, to the world of packing and tissue. In 1986, a new leap forward, still within the Marin family, a part of which had emigrated to the United States in the 1920s. 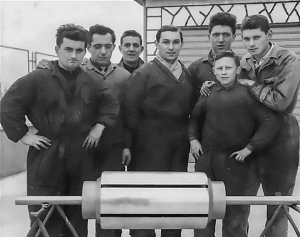 In Connecticut, a descendant of the Marin, Al Pretto, founded the Goldenrod Corp., a subsidiary company of SVECOM – P.E. Today, Goldenrod is an independent company that is committed daily to support Svecom’s sales operations and to guarantee excellent technical assistance throughout North America. Meanwhile in Italy, Svecom has never stopped growing. Today we are a business that can count on over 200 employees, on a production site of about 17,000 square meters, and on a sales network that extends over Europe, America, Asia, and Africa. And we still have in our eyes the light of those who, more than 60 years ago, knew how to see the future.